Following up on my posting about why Epi-Pen prices have increased 5-6X in 12 years, the New York Times reports that a bipartisan group of legislators is questioning the basis for these price spikes. As the medicine and injection technology have not changed in years, consumers have also started an on-line petition to Stop the Epi Pen Price Gouging. Mylan’s virtual monopoly limits access to life-or-death medication and disproportionately redistributes public dollars for private gain. Why Have EpiPen Costs Spiked 5-6X in 12 Years? Pharma Bro Martin Shkreli isn’t the only one charging new prices for old medicine. It appears that Mylan, the manufacturer of the EpiPen, has increased the price of its emergency epinephrine injection 5-6X over the last 12 years, according to this article in Slate. 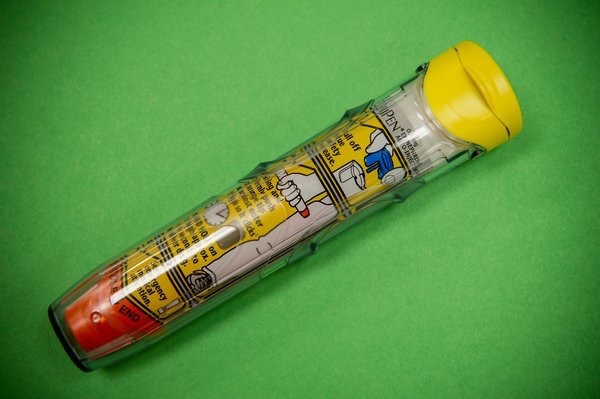 It is true that EpiPen can be a lifesaver in a food allergy emergency that causes anaphylaxis. However, this was also true 12 years ago, and it appears that the technology and medication have changed little in the interim. Hopefully, Teva (and other generic drug companies) will soon be able to market a safe and (cost) effective alternative for the captive market of anaphylactic consumers. 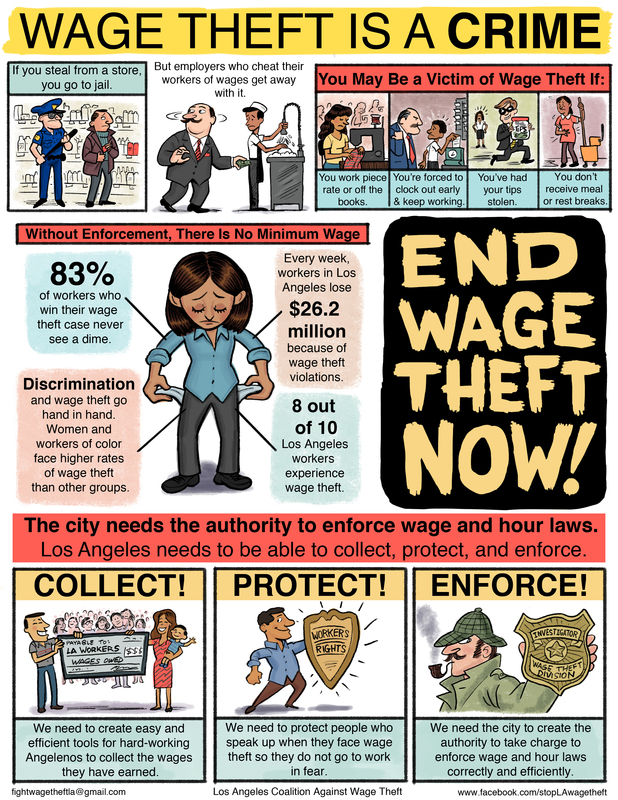 Image Credits: Los Angeles Coalition Against Wage Theft (available at UCLA Labor Center website). Tips provide a substantial portion of restaurant workers’ income. However, some management personnel unlawfully take some or all of those tips. Please see my new article about tip skimming in the June 2016 issue of Plaintiff Magazine to learn more about the under-reported problem of wage theft. I hold Bill Nye in high regard for all he has done to raise public awareness of important scientific issues. However, I respectfully disagree with his love of GMO foods for at least four reasons. The problem: Roundup “worked spectacularly well — until it didn’t,” because weeds have developed resistance to it. Dow’s Enlist Duo herbicide contains both glyphosate and 2,4 D. Question for Dow: how long will this “weed control system” actually control weeds, and when will you start selling Enlist Trio, Enlist Quattro, etc.? Although using higher concentrations of more lethal pesticides may keep weeds at bay temporarily, over time, this overdose will only result in creating an even greater superweed problem. 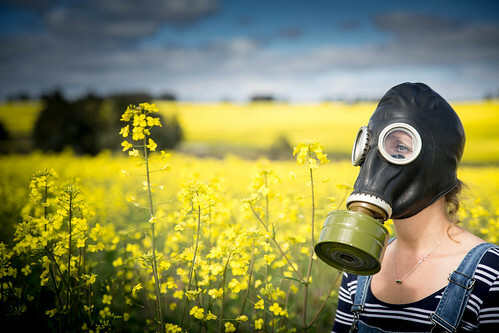 Monsanto, Dow, and other companies that sell GMO seeds resistant to their pesticides profit from the pesticide arms race, but I have yet to see evidence that increased exposure is good for my family’s health. Farm workers are routinely exposed to far higher levels of pesticides than consumers, which can cause these workers to develop acute and chronic health problems. Choosing to eat pesticide-free foods is a market-based solution to getting off of the “chemical treadmill” and reducing their exposure. A recent study found that men who ate foods with more pesticides had lower sperm counts and fewer normal sperm. Fun fact: GMO crops do not have higher yields than conventional ones. But they do have higher profits for the GMO seed companies, at the expense of farmers. If Dow, Monsanto, and their competitors dedicated, say, 20% of their GMO R&D budget to reducing the $1 trillion of annual food waste, why would we purportedly need GMOs to “feed the world“? Because profits. 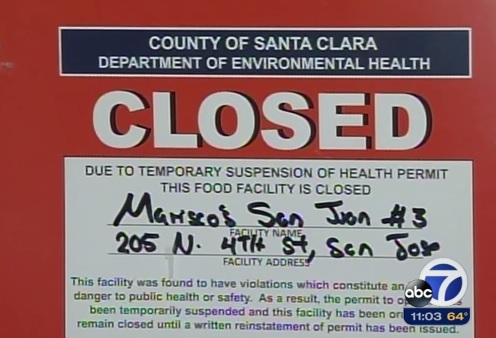 You probably can’t aggressively enforce a patent on public service announcements re: how to reduce food waste.